Social media has well and truly arrived but it hasn't made email redundant. 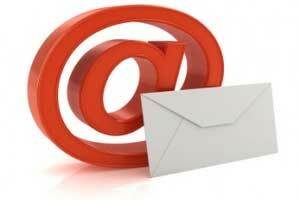 Email is still a great way of building customer relationships if managed sensitively. And it can work with other forms of media as part of an overall customer relationship plan. Do you know how much it cost you to acquire your last customer? It's generally accepted that it costs a business 10x more to acquire a new customer than to retain an existing customer. And every time you lose a customer you need to acquire a new one just to stand still. So you should always sustain your existing customer base - you need to retain their interest so that they'll do business with you again. Social media is being used more and more to help do this, but email is still the most effective way of sustaining relationships. After all 1.5x as many people routinely use email over social media. And in any case they aren't substitutes - they can work together to help strengthen and sustain customer relationships. Make your contact with your customer base relevant so that they will look upon your communication favourably. Perhaps you want to send them promotional offers or vouchers. It needs to be a form of direct response rather than specifically brand building. And don't mail them to frequently. How Can Affiniti Help YOu? Whether or not you already capitalise on your customer email database we believe we can help you dramatically improve the relationship you have with your customers. We'll combine all elements of our email marketing programme to deliver effective, actionable email messages. You can readily combine this service with other Affiniti services, such as lead generation, paid search and affiliate marketing, to dramtically enhance your online presence.